As many other digital nomads have done before, I sold my flat and put my stuff in storage. In this blog I share my experience of upping sticks and selling my London flat. This article is part review and part blog. If you are interested in reading only one section, feel free to skip right to it. All opinions are my own. Of all the worst times you could sell a flat, I happened to have chosen to sell during one of the most volatile and unpredictable housing market phases. With Brexit looming and house buyers panicking about their future, selling property was not a good idea, but I wanted out. I wanted to embrace my European citizenship and live visa-free in a EU country without having to worry about my future in the UK. My first step was to appoint House Network, an online estate agent with competitive rates. This type of agent can afford to lower their commission as most processes are done online. If you decide to do all the viewings yourself with potential buyers, the contract is even cheaper. Within a few days from appointing them they sent their local agent to inspect the property and take professional pictures to accompany my listing. The survey was fast and efficient. If you are planning to sell your property, either a flat or house, a traditional estate agent will charge you approximately 1.5% of the selling price. House Network has a fixed price for its packages; I chose the No Sale, No Fee package, which, in my case, saved me about £2,000 in commissions compared to a traditional bricks-and-mortar estate agent. I discussed with my account manager the sale strategy for my flat, from agreeing the right wording to filtering out the time-wasters over the phone. While it’s impossible to completely dissuade the so-called “day-trippers” from booking a viewing, if your estate agent asks many pre-qualifying questions, he/she will manage to reduce the number of viewings required to make a sale. House Network took over all the logistics regarding the viewings, and my job was to conduct the viewings in person. This was a cheaper option than getting an estate agent to do it on my behalf. Also, the added benefits of conducting your own viewings is that buyers trust the vendor more than an estate agent, and you get to evaluate whether a buyer is serious or not. I must say that even I got “conned” a couple of times when undercover estate agents from my local area pretended they were genuine buyers and came to see my flat. A quick Google search with their full name showed me that those people were actually estate agents. I would say that House Network made sure things were taken care of and answered any queries I had along the way. They helped me negotiate a good price for my property and handled the paperwork very efficiently. House Network website Affiliate code: GXMHQVOXLF enter at checkout to get a 5% discount code. Many digital nomads keep their belongings in storage in one location and travel only with the bare essential. Prices for storage can vary considerably from one area to another. The best way to compare storage prices is to look at how many cubic meters you need, what kind of insurance you need and who much notice you need to get access to your belongings. For example, if you don’t require 24×7 access, prices can be cheaper. Also look at any additional charges that may not be included in the standard price such as insurance. For my move I chose a company called My Safe Removals. 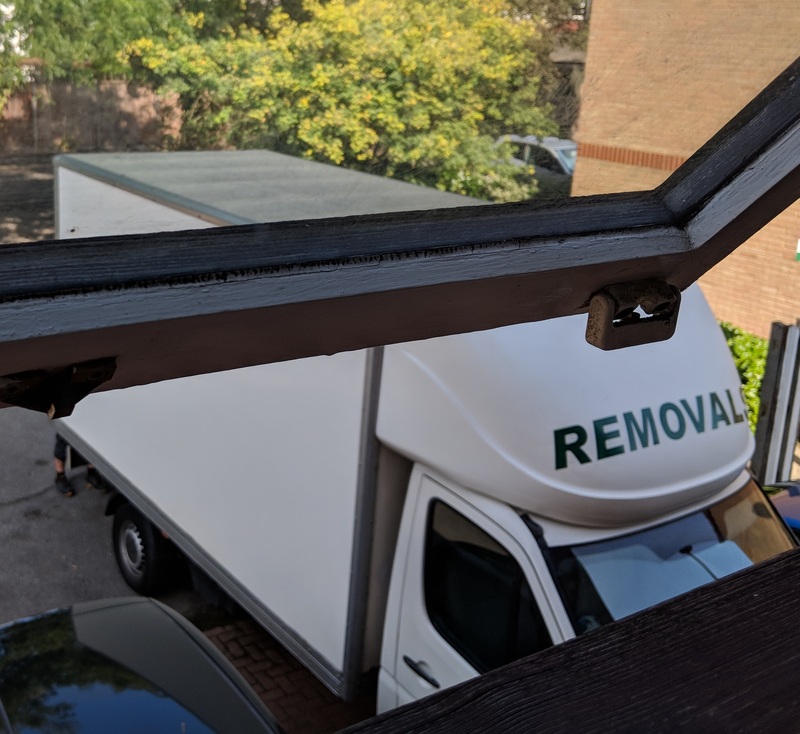 I got a few quotes from removal companies and My Safe Removals has some excellent reviews. On the day of the move two removal men carried all my boxes into the van in less than half an hour, stacking two or three heavy boxes on top of each other and taking them down the stairs. The whole process was straightforward – I had been stressing about my move for months and they made everything look so easy. My main contact was Michal, who was very prompt at answering all my questions. I had to move the move date, ironically, and that was no problem at all. He kept in touch while I waited for the go-ahead to sell my property. 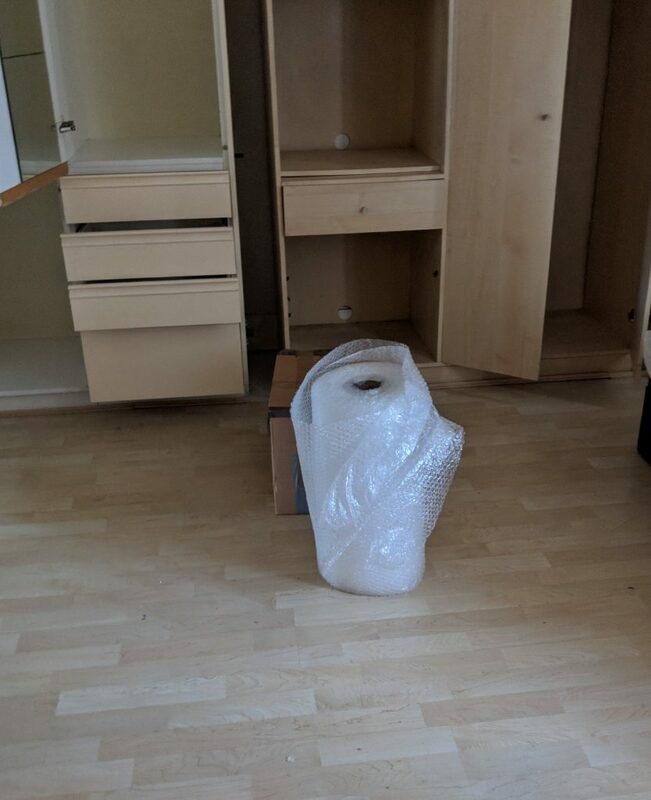 He also organised storage at a depot – while normally you need to check-in in person, My Safe Removals have their own depot so I didn’t have to travel there, the removal men took care of everything. This level of service means that most of the hassle and the headaches typical of moving house are taken care of and dealt with efficiently. I will be house-hunting and staying at various Airbnbs for a while. Airbnb affiliate link to get £25 off your next trip.